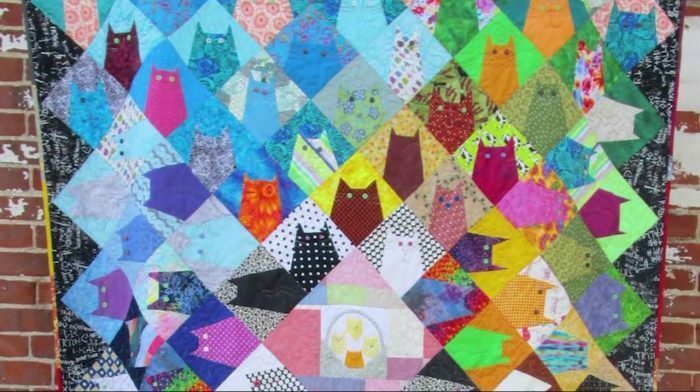 This modern quilt made of very modern cats, was a joint effort that the two Helen’s hoped would cheer up their dear friend Kate during her chemotherapy. They organised the making of the blocks, and they had enough to make this lovely double size. Kate Percival, one of our delightful quilting friends and contributors lost her battle with life at the end of August. Rest in Peace. Her workshops and quilts live on as a legacy to her craftsmanship, and expertise. 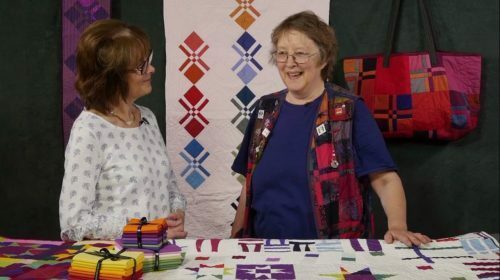 Helen Butcher will be sharing how to make the block with us later in the month.